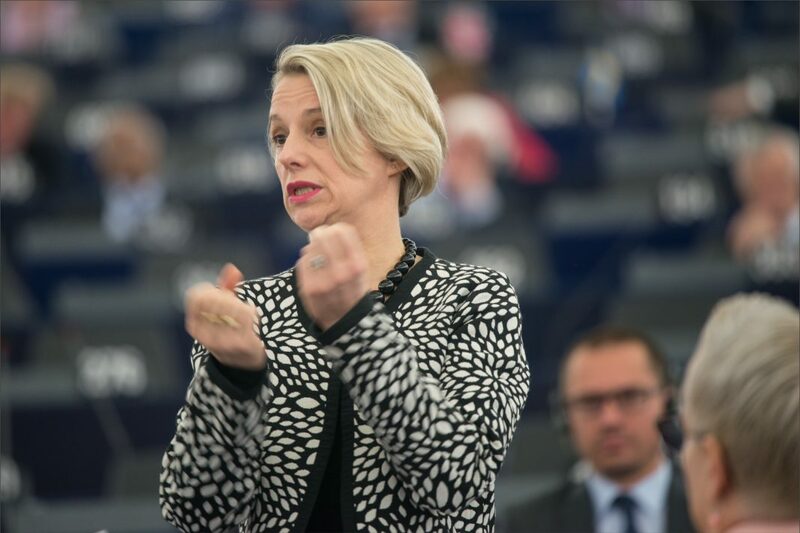 Helga Stevens: "We all want to do all we can to prevent fresh terrorist attacks"
ECR Flemish MEP Helga Stevens co-authored the parliament's report that was drafted following extensive research and contacts with police and intelligence services across Europe. The European Parliament’s Special Committee on Terrorism has adopted on Wednesday its final report that includes a series of recommendations aimed at better equipping Member States in the fight against terrorism. ECR Flemish MEP Helga Stevens co-authored the parliament’s report that was drafted following extensive research and contacts with police and intelligence services across Europe. Within the adopted text, the committee presented its vision of a more coordinated security policy that covers a range of policy areas as well as looking at what can be done at EU level to help tackle the terror threat. “We all want to do all we can to prevent fresh terrorist attacks. That’s why the committee was set up, to identify action can be taken collectively at EU level to strengthen Member States’ efforts to fight terrorism,” Stevens said after the vote. “We’ve adopted a range of proposals in this report. Specifically we have identified the need for a European watchlist of hate preachers, so that Member States can share information about those who have been identified on an national level. The report also puts forward criteria to measure the efficiency of deradicalisation programs. Moreover, many Member States face difficulties in accessing information exchanged through communication channels such as WhatsApp and Messenger. In our report I am proposing the creation of a European ‘decryption hub’, a center of expertise within Europol that can decrypt such messages so that crucial information becomes available for judicial investigation,” she added. In order to detect and tackle radicalization at an early stage, the report refers for instances of best practices from across Europe, including Belgium, which is Stevens’ home country. “The Local Cells for Integral Security of Minister of the Interior Jambon focus on tracking down people in the early stages of radicalisation and the setting up of individual programmes to follow up on them. This human-scale approach has already been applied in different municipalities and the results have been excellent so far. We need this approach also on a European level,” concluded Stevens. The report also pays attention to the administrative consequences for terror victims as they go about rebuilding their lives. Stevens relied for an important part on the personal testimonies of victims. This report will be put to a vote by the whole European Parliament in December.